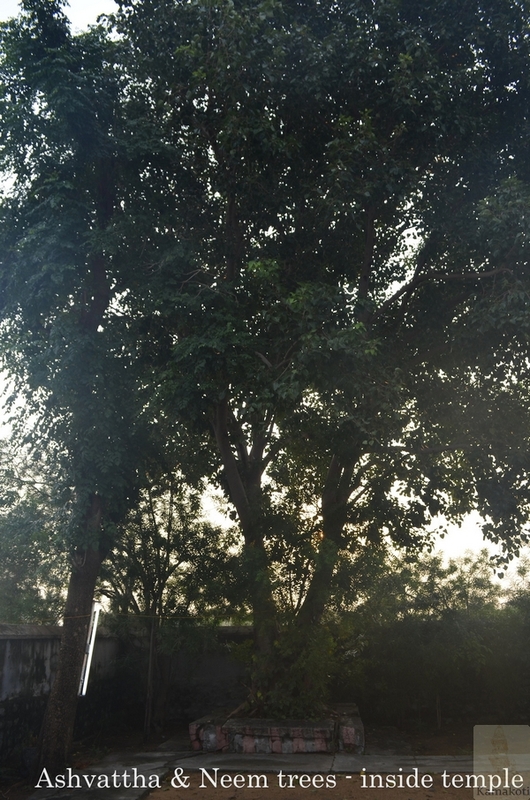 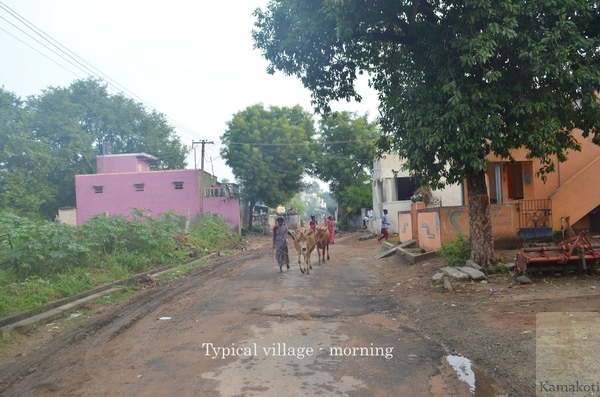 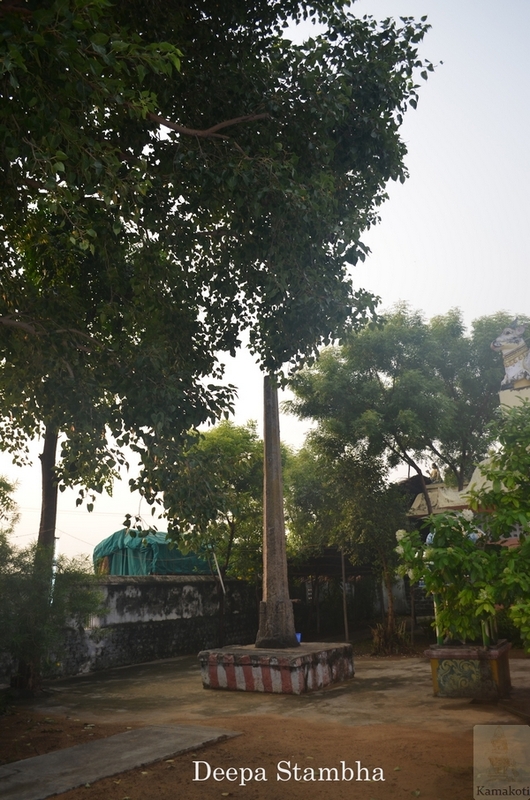 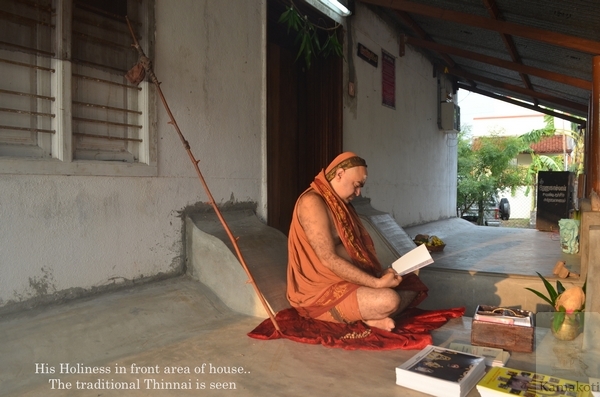 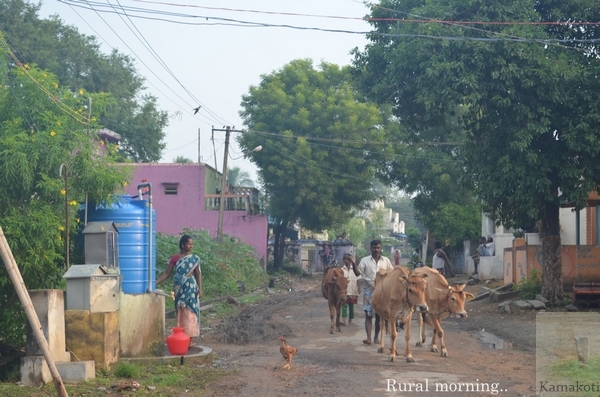 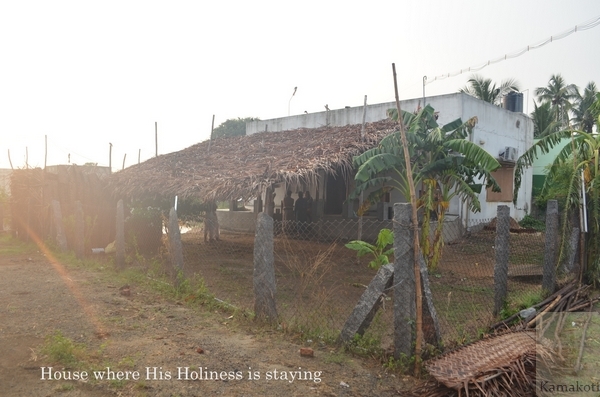 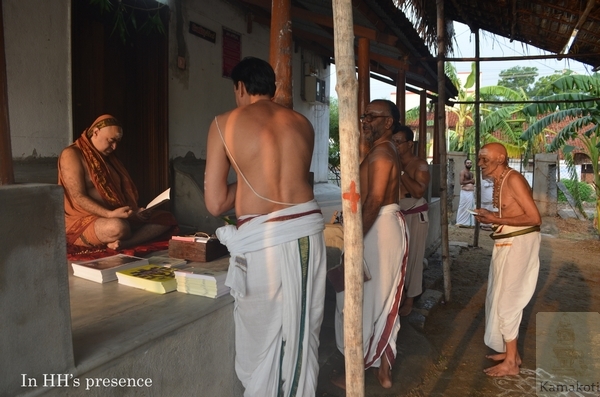 A series of photos taken at the camp today right from dawn -providing a glimpse into the rustic charm of a tranquil village with a hoary past, where His Holiness is camping along with Sri Chandramouleeswara Puja. 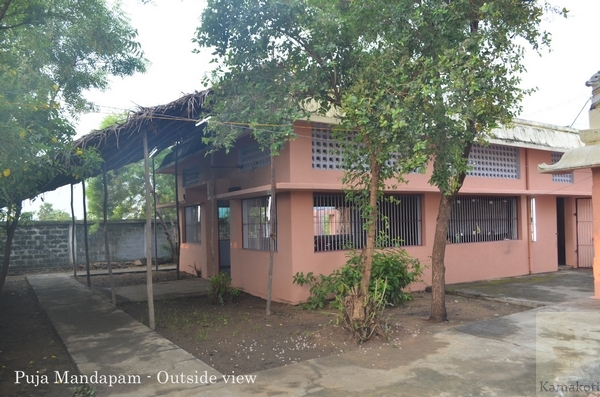 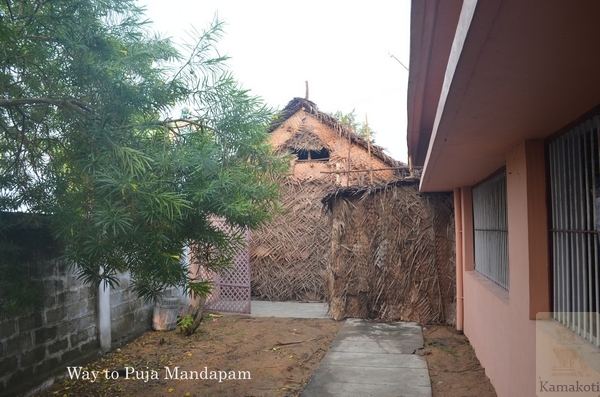 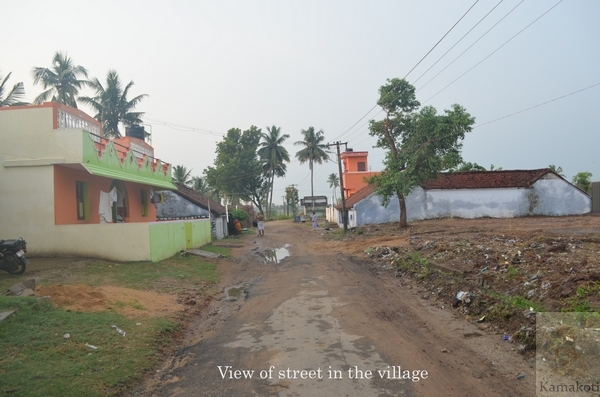 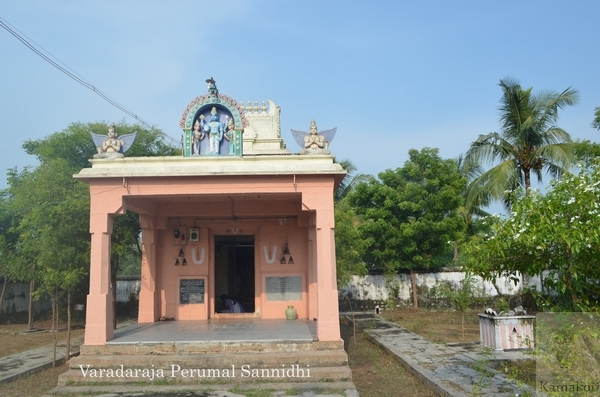 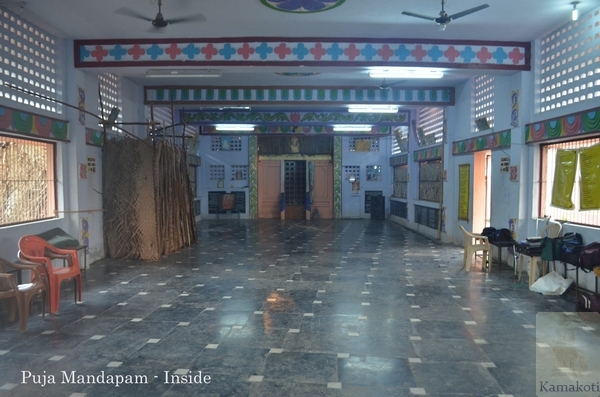 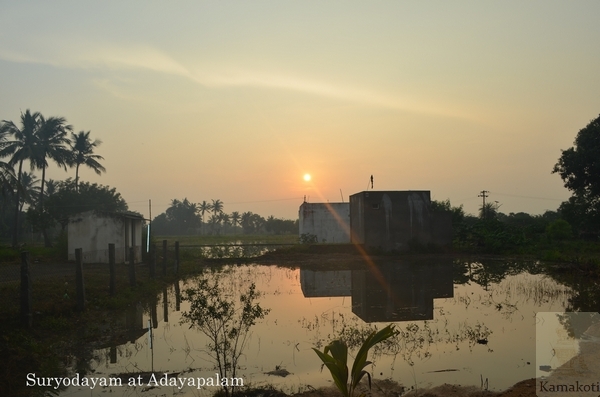 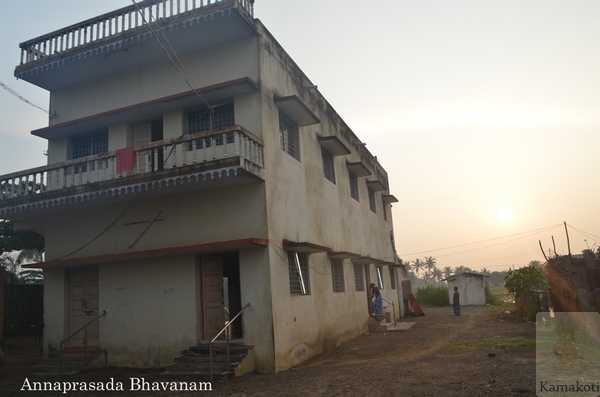 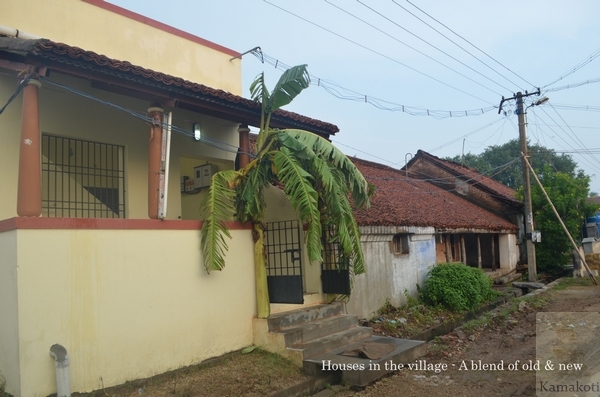 Adayapalam village is famous for being the birth place of Sri Appayya Deekshitar, who is revered as an avatara of Parameswara. 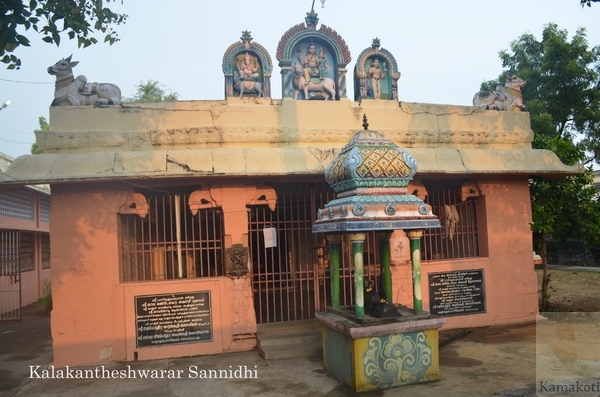 Born around 500 years back in Adayapalam, Sri Appayya Deekshitar has authored more than 104 books on various aspects of Sanatana Dharma and reinforced the bhakti bhava and spirituality. 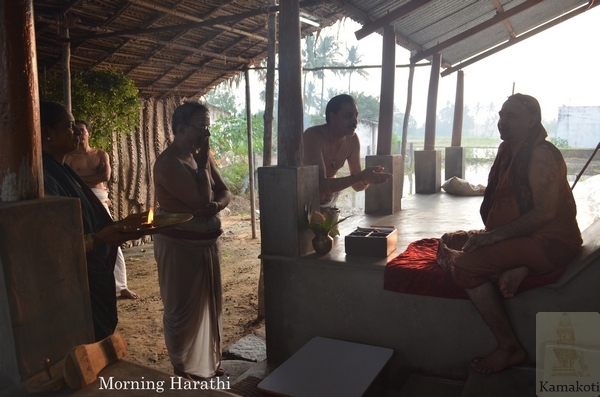 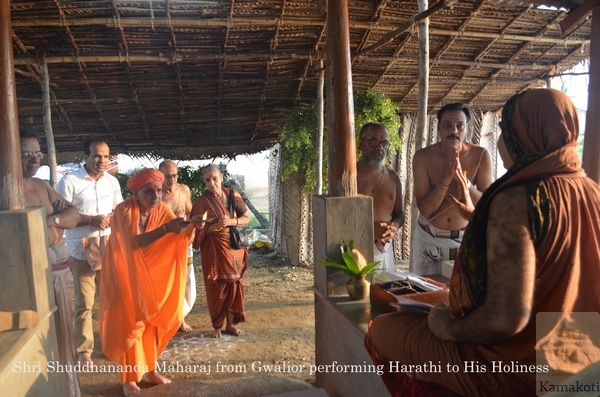 Kanakabhishekam was performed to Sri Appayya Dikshitar by the ruler of the province. 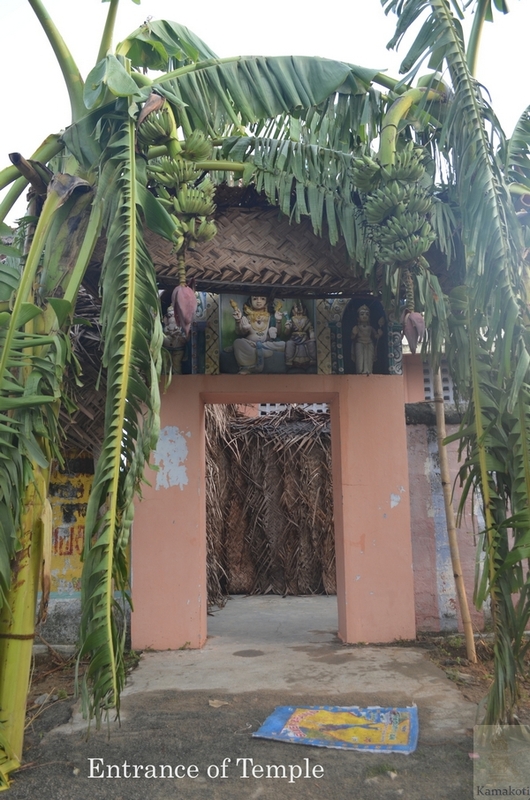 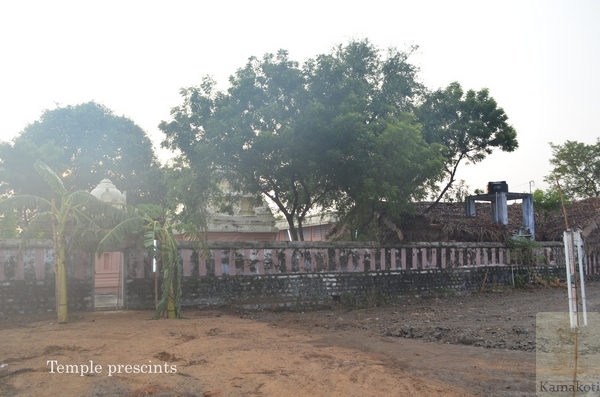 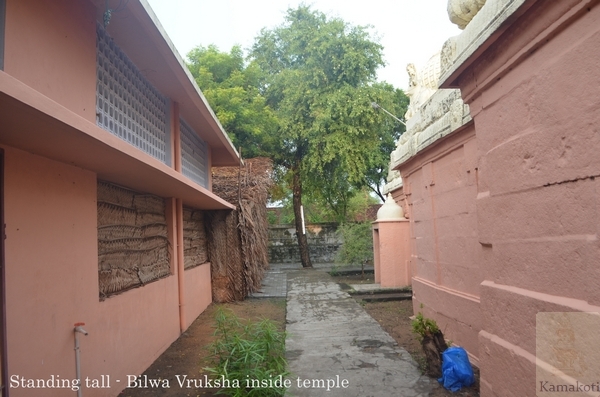 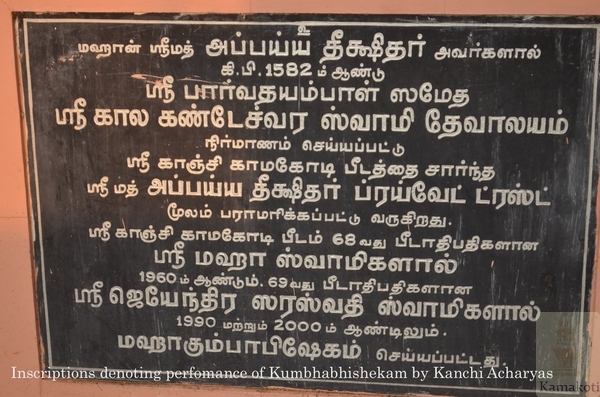 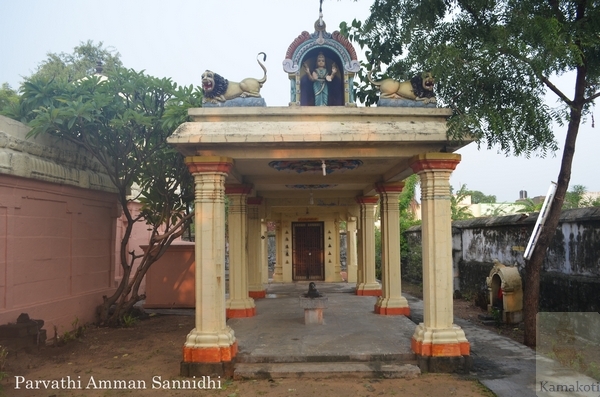 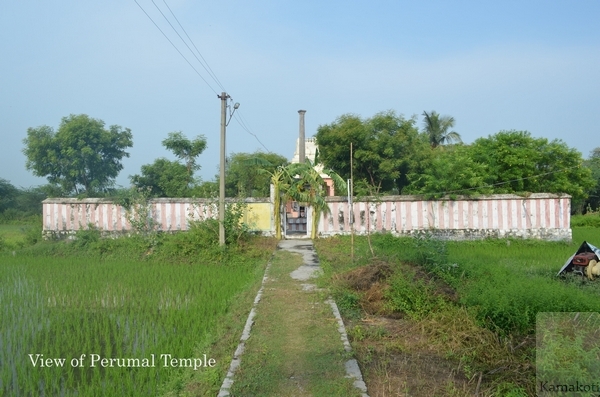 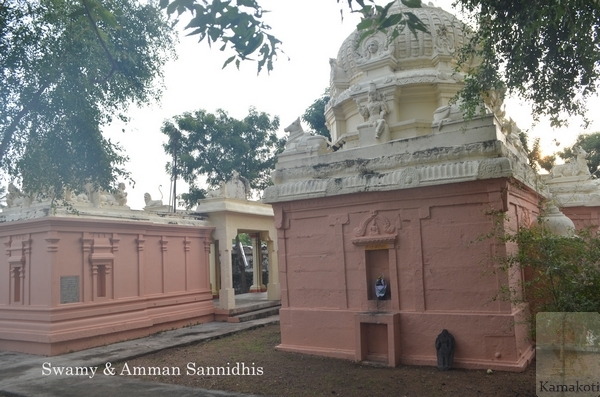 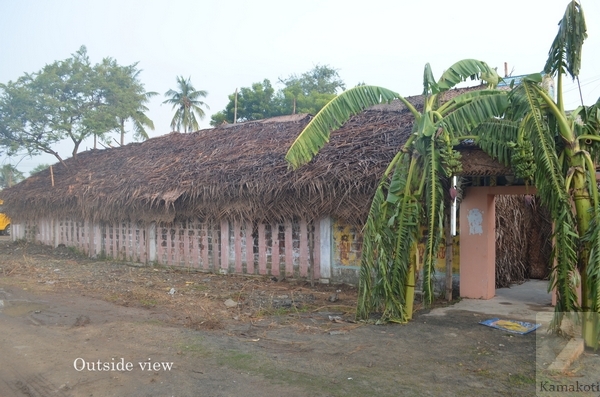 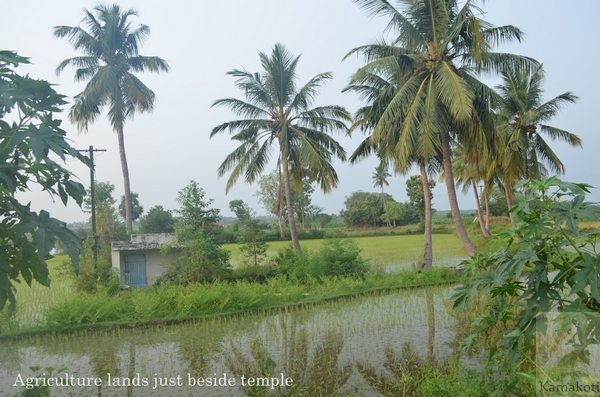 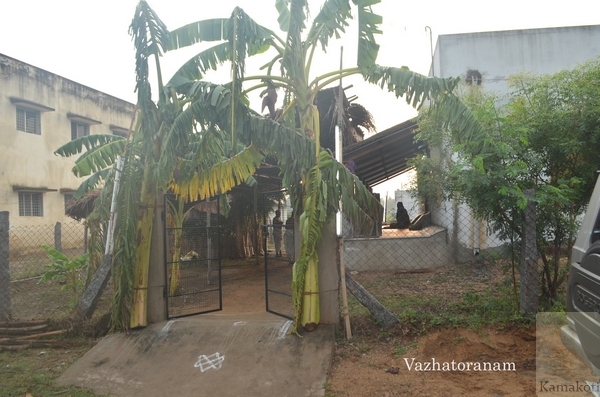 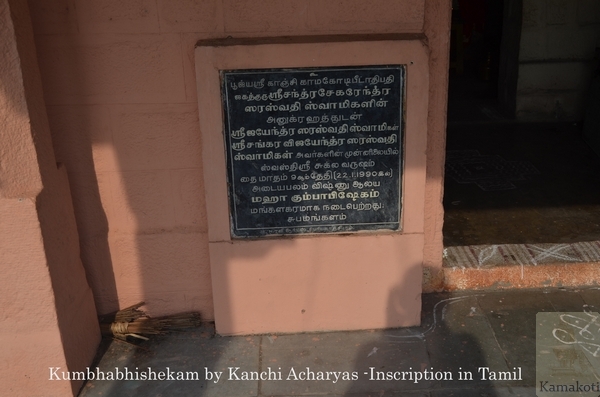 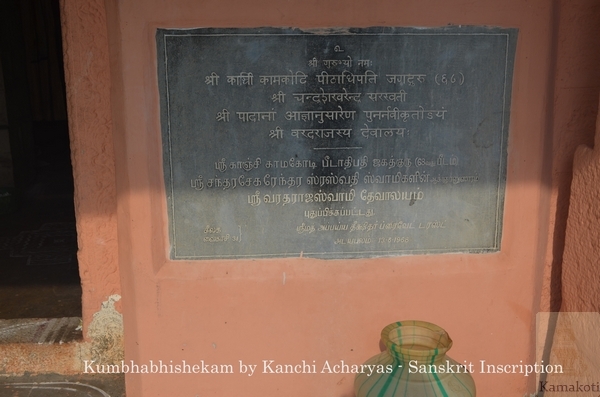 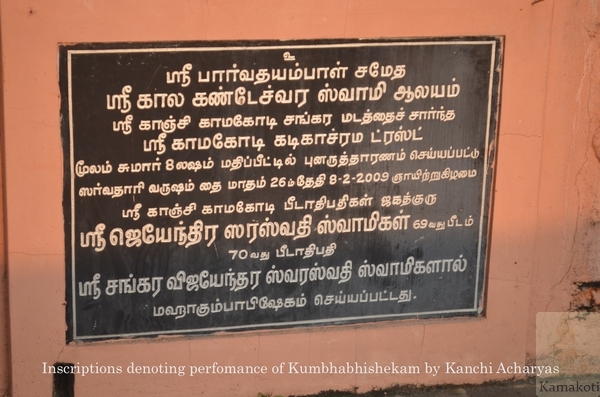 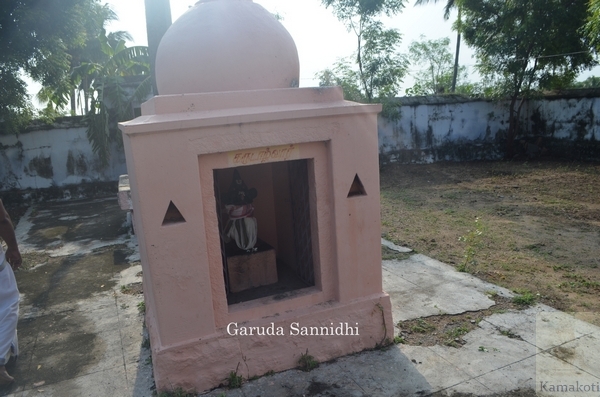 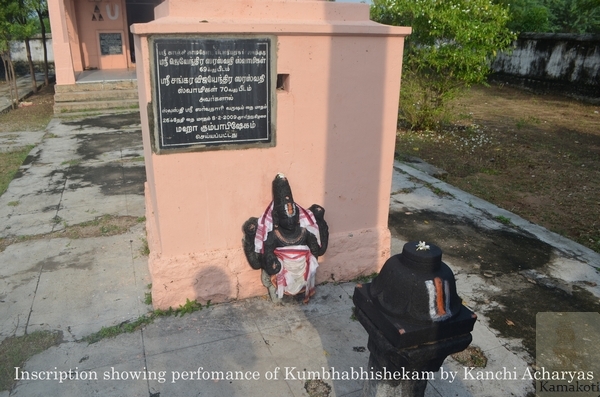 Sri Appayya Dikshitar used the gold received in the kanakabhishekam and built two Shiva Temples in his native Adayapalam Village, located about 6 kms from Arani. 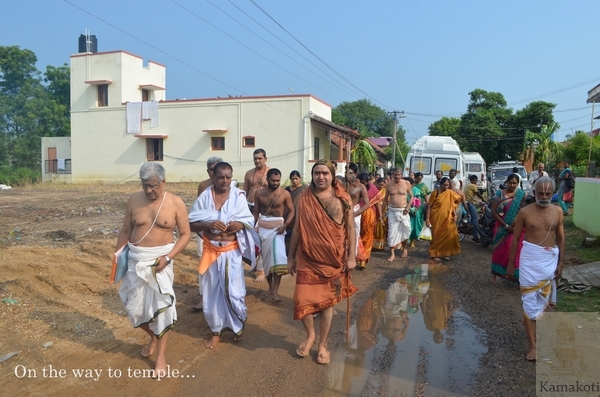 The Sri Nyanambika Sametha Sri Neelakanteswara Swami temple is one of the two temples and Kumbabhishekam was performed on the 24th June 2010 to the temple. 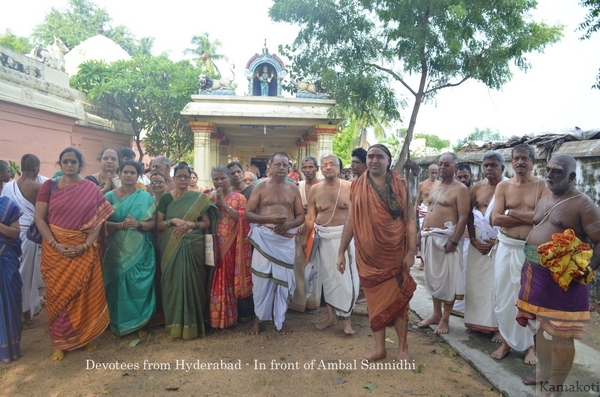 His Holiness Pujyasri Sankara Vijayendra Saraswathi Sankaracharya Swamiji attended the Yagasala Pujas on the evening of the 22nd June 2010. 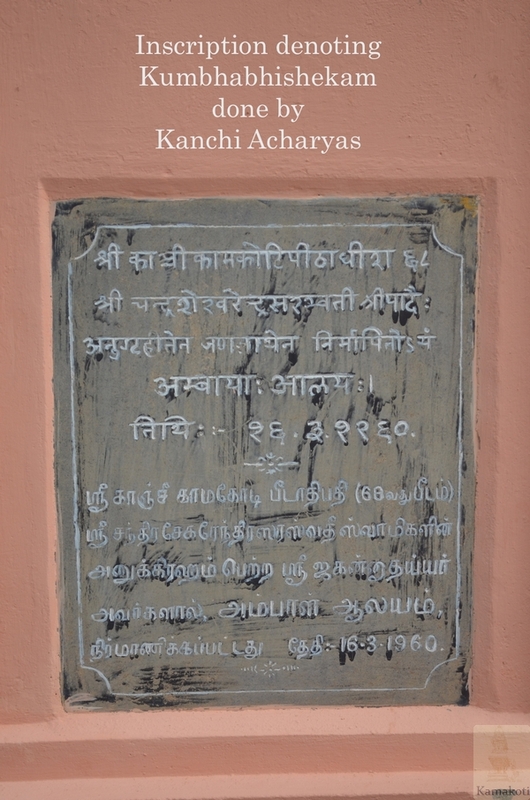 On the occasion, a publication containing various stotras written by Sri Appayya Dikshitar including the Abithakuchambastavam, Hariharaabedasthuthi, Sri Margabandhu Stotram, Ratnatraya pariksha, Pancharatna Stuti, Sri Nigrahashtakam and Sri Gangadharashtakam, was brought out.